Every project is different and we approach them with a diverse array of talents. 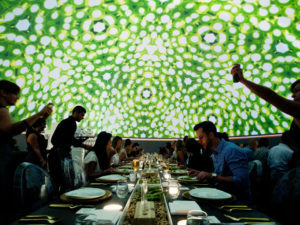 360 immersive dome venues for rent or purchase along with all the projection and interaction services required. These venues are the perfect choice for a shared immersion experience and showcasing your story. Turn any space or surface into an augmented reality spectacle. 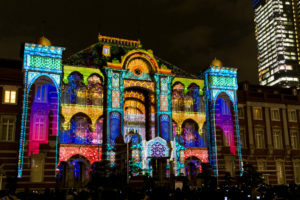 3D Projection Mapping (AKA Video Projection Mapping or Architectural Projection Mapping) is an exciting new projection technique that can turn almost any surface into a dynamic video display. IMRSV-X provides full custom content and software services. 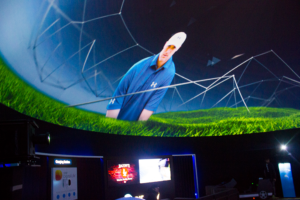 Whether it's an interactive display, a 360 drone flight through a canyon, or a CGI landscape we have you covered.